What are businesses prohibited from doing under Chapter 11? | Bankruptcy Lawyer Boca Raton | Family Law | Furr &Cohen, P.A. On behalf of Furr & Cohen, P.A. posted in Chapter 11 on Wednesday, March 9, 2016. Filing for bankruptcy can be a difficult but necessary decision for business owners across Florida. Whether the future of the company is to close down or rebuild, bankruptcy can be an effective way of dealing with debt to allow people to move forward. However, it is not a simple or quick process, particularly if a company declares Chapter 11 bankruptcy. In accordance with Chapter 11 bankruptcy laws, a company will be prohibited from doing many things until it has completed the bankruptcy process which can put some amount of stress and anxiety on business owners. To begin with, a company owner may not be allowed to control the business if the courts discover that the debtor has engaged in serious mismanagement or fraud. 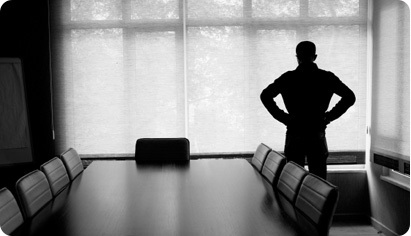 In these situations, a trustee will be appointed to carry out control of the business. As noted in this article on how Chapter 11 bankruptcy works, business owners are also prohibited from making certain types of changes to the company. For instance, a company that is under Chapter 11 cannot sell divisions or major assets; it cannot acquire new companies; it cannot commit to expansion. Unless approved by a court, the company is generally prohibited from making any major changes that impact its assets. Finally, under Chapter 11, a company owner cannot neglect the reorganization plan. Failure to repay creditors in accordance to an approved plan can have major repercussions, including the conversion to a Chapter 7 bankruptcy where assets can be liquidated. There are many things a bankruptcy filing allows a company to do, including stay in business and repay creditors. However, there are many restrictions in place. Making the decision to file for Chapter 11 without understanding the limitations and other implications can lead to some serious and costly problems. For this and many other reasons, it can be wise to discuss bankruptcy and alternatives with an experienced attorney.